Thank you for attending our September Open House! We hope you enjoyed meeting our featured vendors, touring the Castle grounds & taking a day to dream about your upcoming Wedding! Remember to use our hashtag for photographs and videos, #louisianacastle. If you have not done so already, FRIEND us on facebook AND follow us on Instagram! We are always posting the most updated information on those sites first. Also, make sure you have sent me and email with the Bride and Grooms names with your wedding date in the subject line of your email so that I can add you to my Brides List. Remember the Castle Cottage is available for overnight stays for you and your family and friends. Please contact me if you want to make a reservation for the Castle Cottage. Reservation on the first come basis for any given date: COTTAGE FORM. Please read our CAKE FORM. You will work directly with our Baker, Suzanne Crawford of Tis So Sweet Bakery. Her contact number is 985-515-6393. Visit her Facebook to view more of her lovely cakes today! 4625 David Drive, Kenner, LA 70065 OR you may fax them to (504) 887-5166 or you may email the documents to castleinfo@aol.com. PLEASE READ YOUR MUSIC INSTRUCTIONS BEFORE PROVIDING US WITH MUSIC FOR YOUR EVENT. IT IS BEING BROUGHT TO US IN FORMATS WE CAN NOT PLAY OR ON FLASH/JUMP DRIVES THAT WE DO NOT PLAY BECAUSE OF THE POSSIBILITY OF GETTING A VIRUS ON OUR COMPUTER. WE ONLY USE COMPACT DISCS. COMPACT DISCS OR CDS WILL BE PLAYED ON A CD PLAYER, NOT A COMPUTER AND THIS WORKS BEST. PLEASE DO NOT USE REWRITABLE CDS BECAUSE THEY DO NOT WORK ON OUR CD PLAYER. YOU CAN ALSO BRING YOUR MUSIC ON AN IPOD OR PHONE AS A BACKUP TO THE CDS. Please remember in the Ballroom that the white tablecloths, white chair covers and silver bows are included in our standard contract package. The tall vases with the florals are also included. Please note on the web site our vendor, Steven Thomas with “Accents In Color” He does our decorating and design at Louisiana Castle, but is available to our brides for their decorating and floral needs. His listing is under “Florals and Decor” on our vendor list. Visit his web site, email him or give him a call with any of your decorating or floral needs. Remember the Officiant for your ceremony is not included in your contract. You may arrange for anyone you would like to perform the ceremony or you may visit our website for local officiants. You will need a Louisiana marriage license that can be obtained 30 days prior to the ceremony. Call the Clerk of Court office that you will be obtaining your license to see if there are any other requirements needed from you. There has been a recent change in marriage licensing. 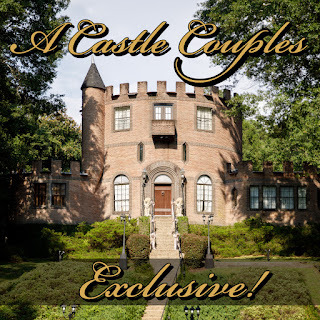 This special page you are on is just for Louisiana Castle Brides. It has important documents and other helpful information. New music selections will always be updated with the latest and greatest music! The complete questionnaire may be printed from here if needed. Hope these reminders help! Don’t hesitate to email or call with any questions. Hope you can make it. 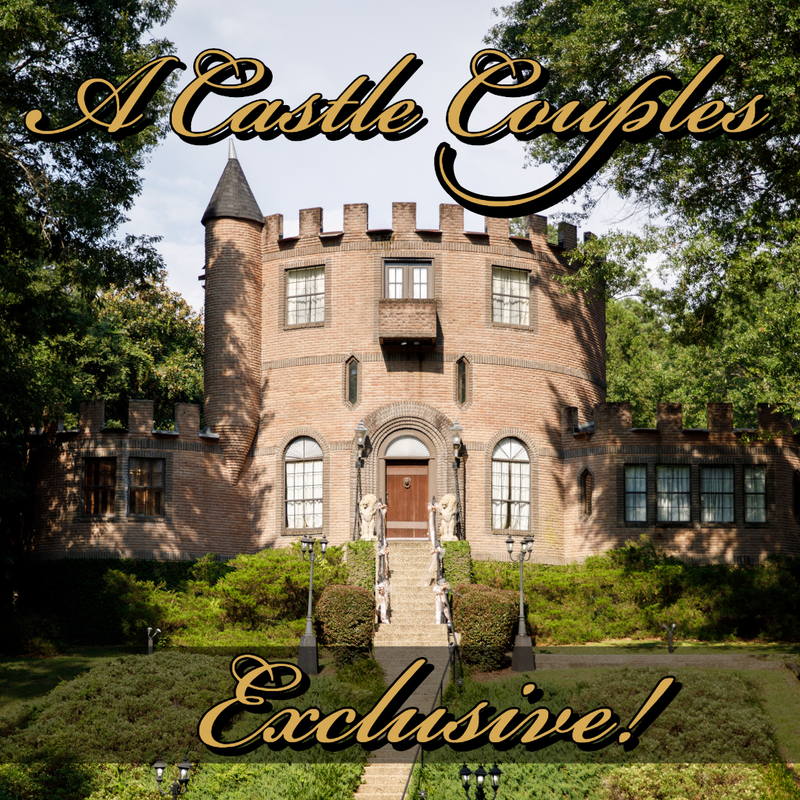 Please email us at castleinfo@aol.com with the requested information if you are planning on coming.